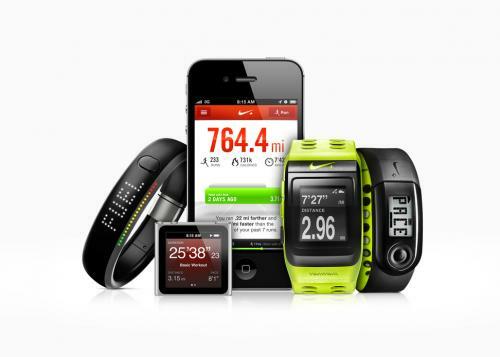 What does the “quantified self” even mean? Have you ever kept a diary? This is probably the simplest way to think about what we mean when we talk about the quantified self. In the last few years with the advent of smartphones, always connected Internet devices and wearable computers, the quantified self has taken off in a big way. What are the types of things people are measuring? Calvin and Hobbes, in a comic strip that predates even Web 1.0, summed it up pretty nicely with the strip below. In more scientific terms, self-tracking has been shown to help improve the thing being measured. Whether it’s health, diet, sleep patterns or saving money, simply the act of measuring it has shown to create or improve the change people are looking to achieve through that measurement. If all this sounds like a lot of work, consider this for the moment: The average smartphone contains about 10 sensors measuring everything from movement to light to sound. As of the middle of 2013, around 56 percent of people in the U.S. carried a smartphone, and close to 75 percent of day-to-day transactions were made using credit/debt cards, which are easy to track via a slew of free personal finance applications. The ability for anyone to gather an amazing amount of data all about themselves with virtually no effort is upon us, and you can be assured that a range of companies will be working out what data is relevant to people for any decision or goal they might have. What might this mean to real estate? The potential in real estate for agents is limited only by your imagination. Imagine being able to know which clients made you happy or how your work cycle was affecting your health, or how much better you perform when you get a good night’s sleep. You can bet your clients will be using it, too, trying to work out what parts of their lifestyle make them happy and factoring these things into their property search process. Vincent Turner is the CEO at Planwise, a San Francisco-based technology startup that helps people make better financial decisions around big decisions like buying a property.